Enjoy a slideshow and photo gallery of the picturesque views of Laurel Hills Villas – from its spacious floor plans, professional landscaping and amenities. Also view interior and exterior views of our apartments and townhomes. View or download Laurel Hills Villas’s site plan for both apartments and townhomes, as well as our spacious floor plans. 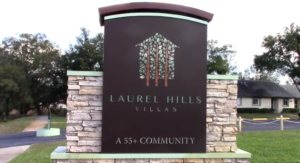 View a video on Laurel Hills Villas.